I promise I’ll post about the race later this week. I just need a day or two to really let the whole experience settle in. Until then I’ll say this, running the half marathon [with my dad] was an amazing experience and I wouldn’t change a single second of it. I am so lucky to have so many people in my life who support everything I do – and it really showed this weekend! To all of you who sent me well wishes and cheered me on along the way, I can’t thank you enough – it meant the world to me. Shifting gears now – here is my race day manicure – I think it is a lot of fun and I hope you do too! Congrats to anyone who got out and ran this weekend and to those that cheered us on from the sidelines – Ottawa Race Weekend was another huge success for the nation’s capital! 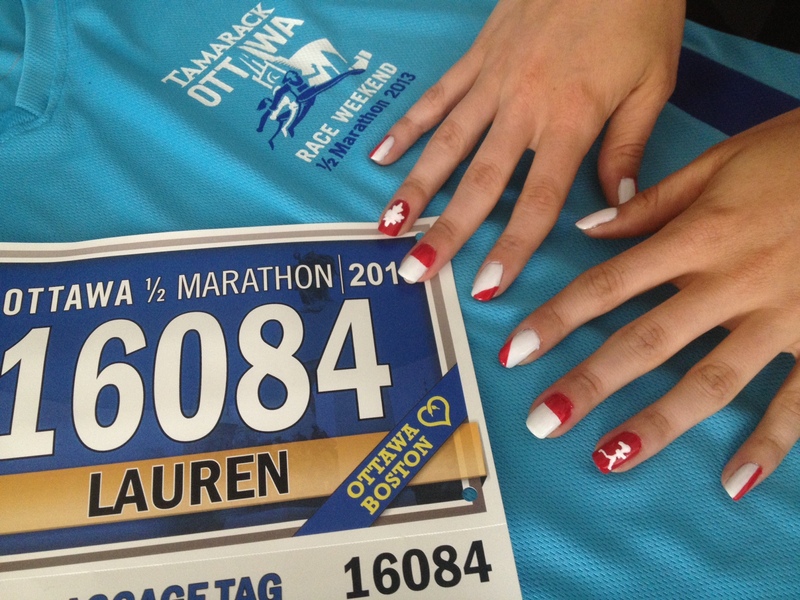 Categories: Personal | Tags: Athletics, Events, Half marathon, Half Marathon Nail Art, Marathon, Ottawa Race Weekend, Race Day Manicure, Race Day Nail Art, Recreation and Sports, Road Running, Runners Manicure, Runners Nail Art, Running, Sports | Permalink. Hi! I'm Lauren. 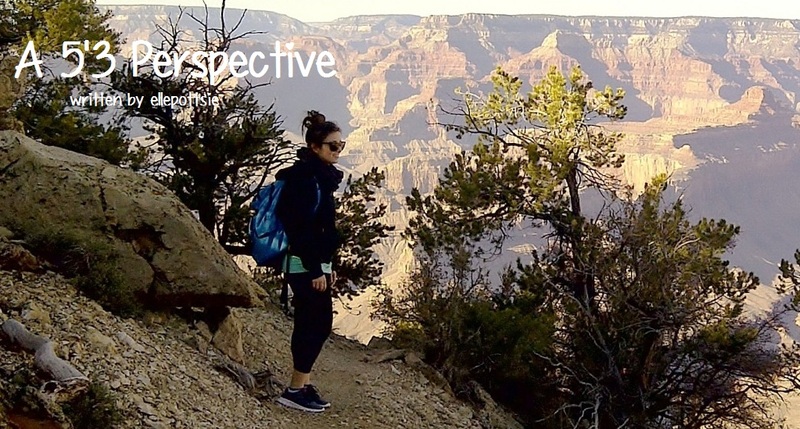 Welcome to a 5'3 Perspective. Here you will find beauty advice, fashion inspiration, recipes and much more. Have fun!